The growth of the “positive psychology” movement reflects increased scientific and lay interest in the relation of positive phenomena to mental and physical health and the corresponding potential for interventions that promote positive feelings, thoughts, and experiences to improve health and well-being. 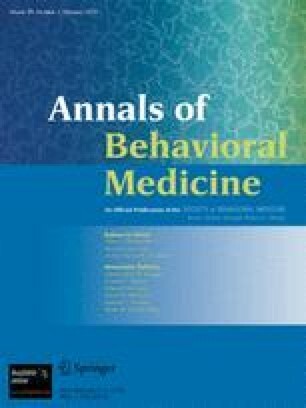 In this article, we (1) consider research on optimism, sense of coherence, and posttraumatic growth that predates the contemporary emphasis on positive psychology, but has clear and increasingly well-supported connections to health psychology, (2) examine several potential mechanisms through which such positive phenomena may influence the etiology, progression, and management of illness, (3) identify four pervasive but misleading assumptions about positive phenomena that may limit both scientific research and practical application, and (4) caution against serious pitfalls of popular views of positive thinking, such as its promotion as a cure for cancer and other diseases. We conclude with recommendations for the balanced scientific investigation and application of positive phenomena. We thank Allen Sherman and Suzanne Miller for their helpful comments on an earlier version of this article and Angela Newman for her assistance in the preparation of this manuscript. Watkin T. Self-help's slimy “secret.” The Washington Post, April 8, 2007. Available at http://www.washingtonpost.com. Ehrenreich B. What causes cancer: Probably not you. 2007. Posted July 19, http://www.huffingtonpost.com/barbara-ehrenreich/what-causes-cancer-proba_b_56983.html.